Valpak of Chippewa Valley can promote your business through local direct mail and digital marketing. When you advertise in our Blue Envelope, you get to decide the frequency and format of your marketing – multipanel coupons, circulars, cardstock, etc. – and which neighborhoods to target for maximum results. Valpak of Chippewa Valley can promote your business to qualified addresses every month through direct mail and digital marketing. Our Chippewa Valley team will help you establish a responsive website. Or, if you’re not ready to commit to a website, we can create a business profile page on valpak.com, where consumers go to look for coupon savings in your area. As a Google Premier Partner, we are highly positioned to offer you search engine marketing (pay-per-click advertising) that can help get your business found in online search results. We can also boost your exposure through SEO and social media marketing. Track the success of your print and digital marketing campaigns with our proprietary Performance Dashboard and Call Tracking solutions. These tools allow you to measure consumer response to your coupon offers dynamically and provides you with an easily accessed dashboard feature for monthly proof of performance. It’s smart thinking to tie your small business advertising spend to a highly recognized brand like Valpak. We can help you reach qualified households in Eau Claire, Chippewa Falls, Menomonie, Altoona, Bloomer, and other Wisconsin cities. For specific dates and coverage, contact your Valpak of Chippewa Valley representative. 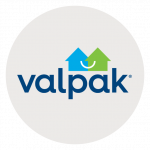 Valpak of Chippewa Valley is an independently owned Valpak franchise.